From mind to paper. The Architects plans of our build. 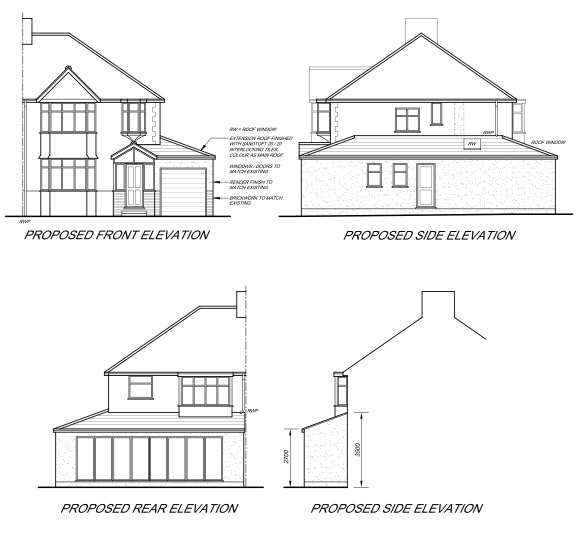 A front, side and rear single story design. We wanted to build it in keeping with the other properties in the road and create our family home. 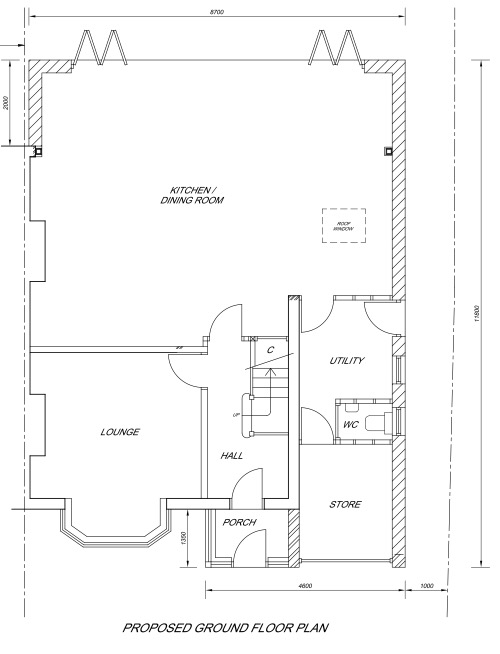 We are bringing the garage into the house, adding a utility and downstairs toilet. 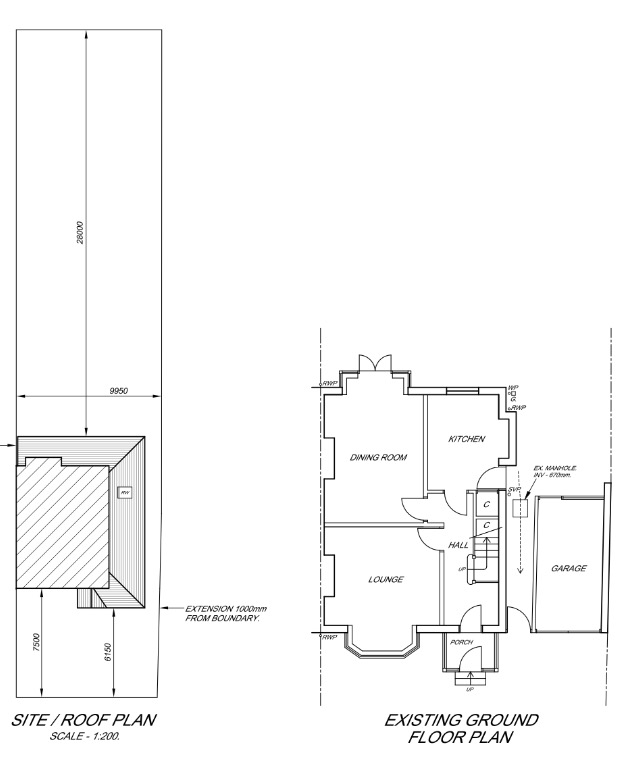 Then knocking though the kitchen/dining room wall to create a large open plan kitchen, dining & living space thus creating a social living area perfect for entertaining and spending time together & cooking. We have added the bi fold doors to make the beautiful garden part of the area.